Every week Adam Fink + Bryan Sea host an open mic style DJ platform where you bring your own records and share some of your favourite tunes with other vinyl lovers. All of the necessary equipment will be at the bar. Just be sure to bring yourself and a handful of your favourite vinyl records! Wanna guarantee yourself a spot behind the tables? Email us at turn@foxcabaret.com to book a spot during one of our free play hours. Every Wednesday check out Vancouver's best funny weirdos in a small, intimate venue right on Main Street. This is Vancouver's only weekly comedy room where women, folks of colour, and queers are the majority of the performers, every time. 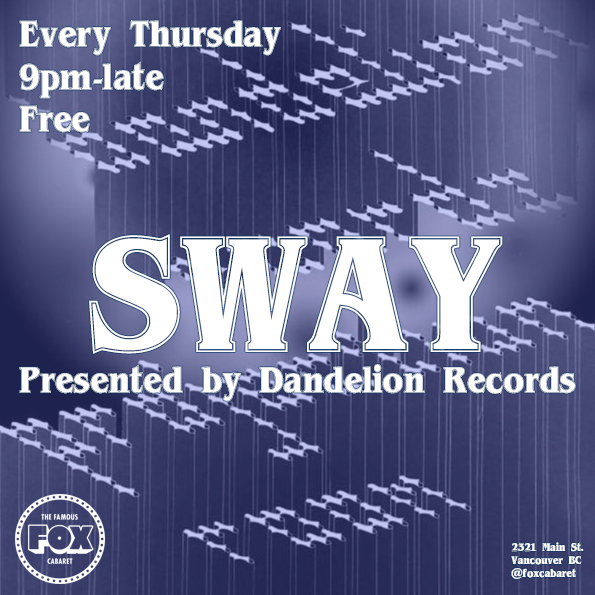 Every week, our friends at Dandelion Records throw a dance party where some of the city's top selectors spin afrobeat, synth funk jazz funk disco postpunk minimal synth etc. Come get this weekend started early! 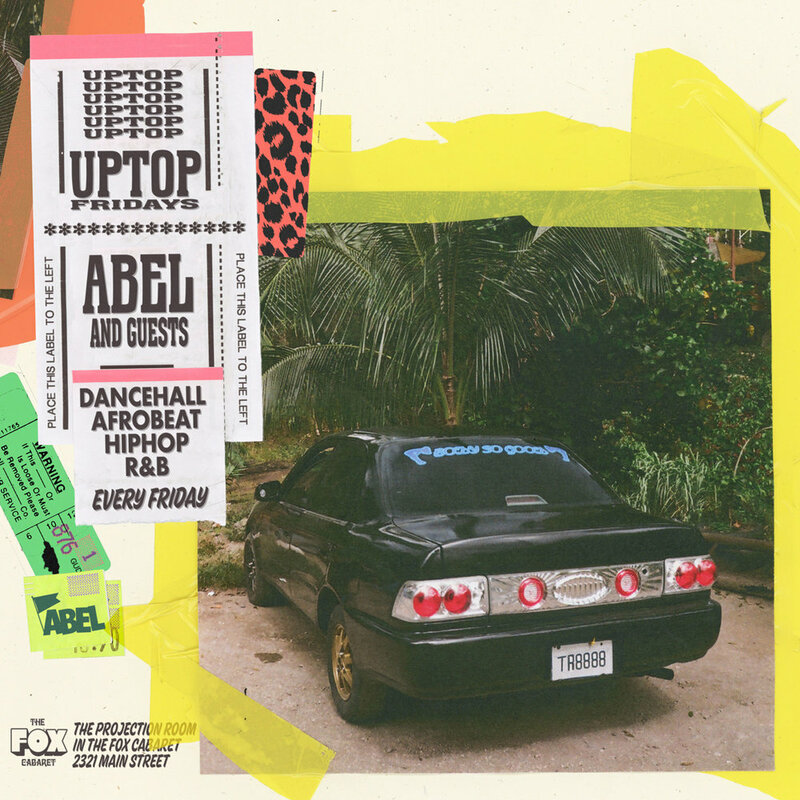 DJ Abel and special guests get it sweaty spinning afrobeat, R&B, dancehall, and hip hop at UPTOP. As part of our two floor dance party! Resident DJ Phil David selects different guests to play an expertly curated mix of their favourite music, genre dependant on the night. You’ll often hear disco, funk, house, hip hop, reggae, soul, and R&B. As part of our two floor dance party!